These are the permanent bits, the expensive bits, that you don’t want to have to change down the line, the hard surfaces and hardware that needs to be right first time. But that doesn’t mean you should be afraid and play it safe. It is still worth building up your courage and going for a well chosen bespoke finish or wow moment. It is all about balance. 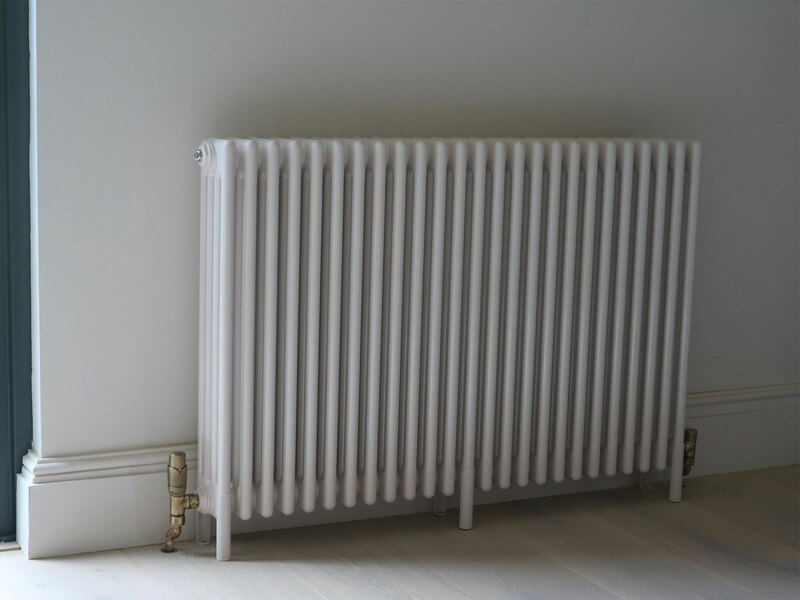 So we are talking radiators, worktops and taps in this post. They will make your life in your home better, warmer, easier to clean (hopefully). So we wanted to give you an insight into our process when choosing these pieces for our kitchen project, to help you do the same in yours. Our interior design work is all about confidence. Prioritise YOUR experience of your home over any other opinion and be brave enough to invest in choosing hardware that ties into and enhances the scheme. 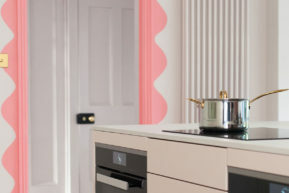 Paint has now been widely accepted as a way to express yourself without the fear of committing forever to one scheme, but this can be trickier with those hard finishes that are longterm purchases. 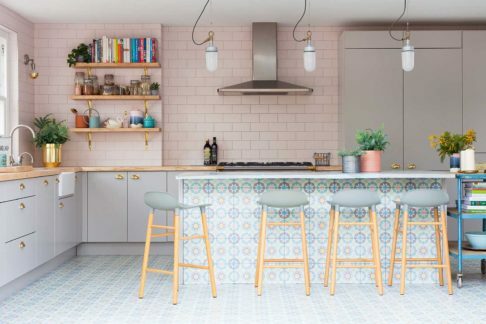 If you want to live in a deep luxe home or a minimal space, there is a radiator, a tap, a handle or worktop finish that will add layers to that vibe, and white or grey are no longer the only options. 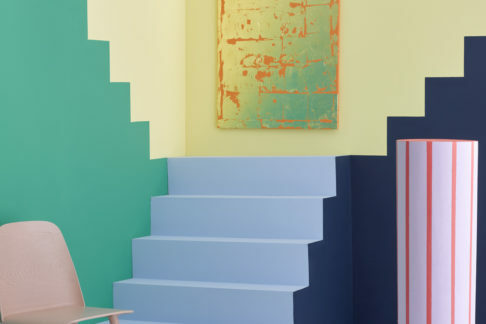 With so many options now available, it is time to make the most of the options and embrace bold choices, not just in paint but also in your hard finishes. 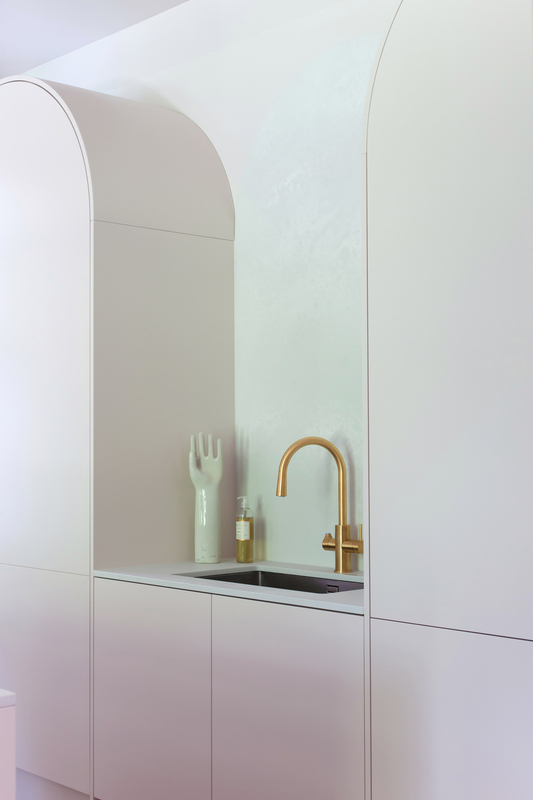 Gone are the days when stainless steel is the only sensible go to for taps, you can now choose a finish that fulfills your dream style needs. Black or gold taps are now widely available and we are loving it. 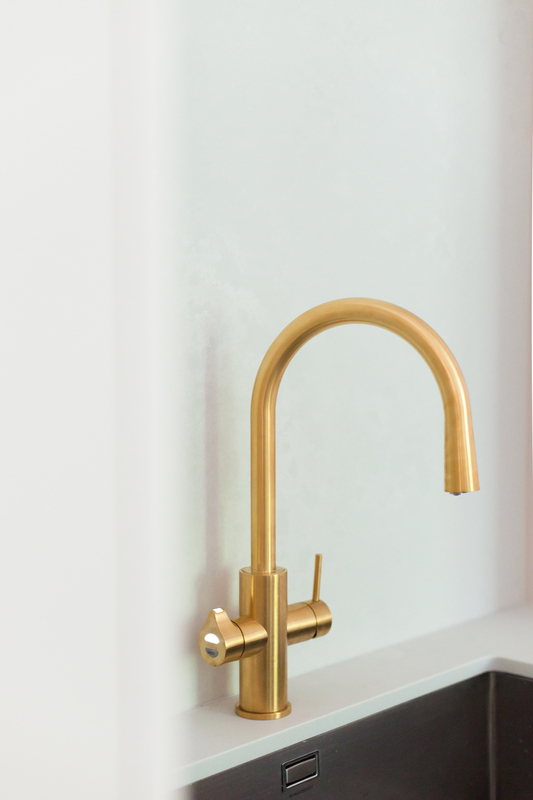 There has been so much brass in lighting and furniture design so don’t be afraid to follow that through into your taps and handles. We have gone for a Zip tap, the first of its kind that is all-in-one and we are loving how simple it has made our life. A big investment that is definitely worth making if it can fit into your budget. Worktop wise we have gone for grey…hang on a minute. Yes you read that right, but this one is so perfect in our scheme and the subtle pattern was love at first sight for us. You don’t have to be bold for the sake of it. 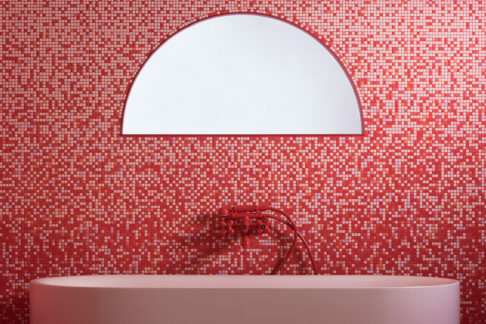 Some surfaces give subtle statements and let the big colour elements shine all the more. There is that balance again. 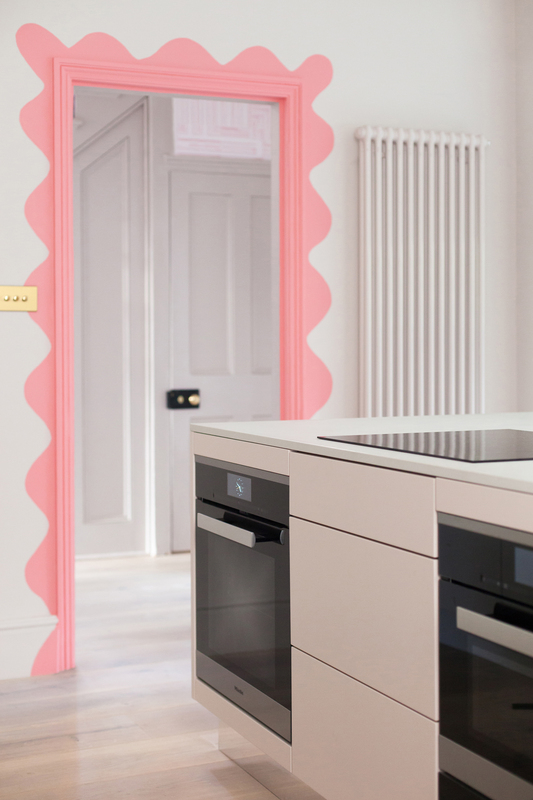 The way the radiators re-enforce the considered colour scheme with their quality finish and the gold tap leaps off the soft cloudburst worktop is what we are talking about. 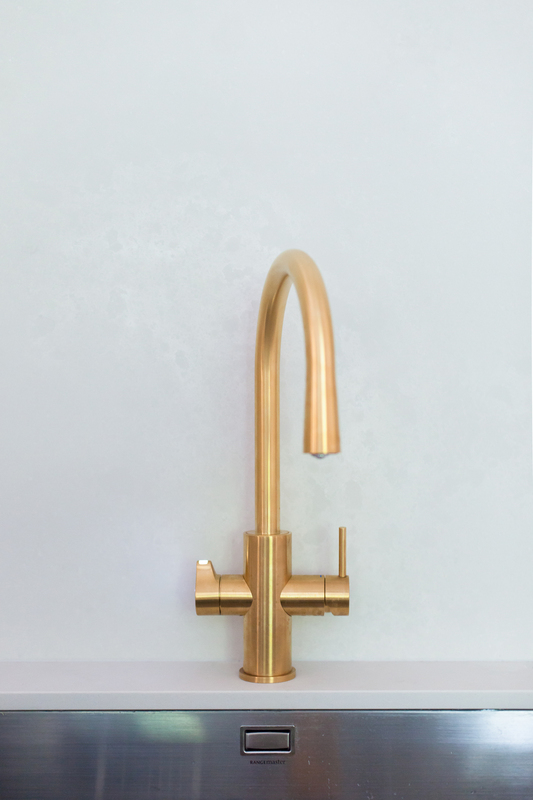 The Gamechanger - this tap is not only a beautiful arc shape to match the shapes of our kitchen and a stunning finish, in brushed gold, it also removes the need for kettle, giving us boiling, filtered and sparkling water, all from one source. Life made. Perfect, practical and cloudlike in appearance. 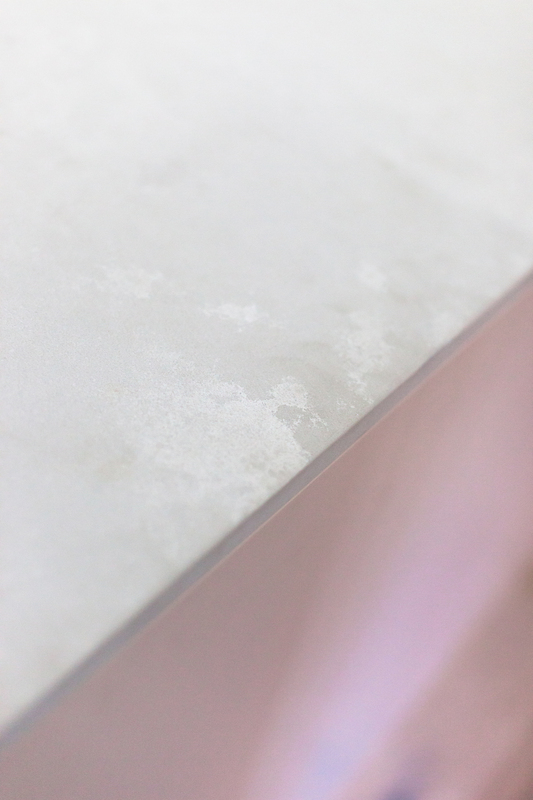 We first saw this new concrete range from Caesarstone in Milan earlier this year and it won us over immediately with its subtle movement and matt texture. 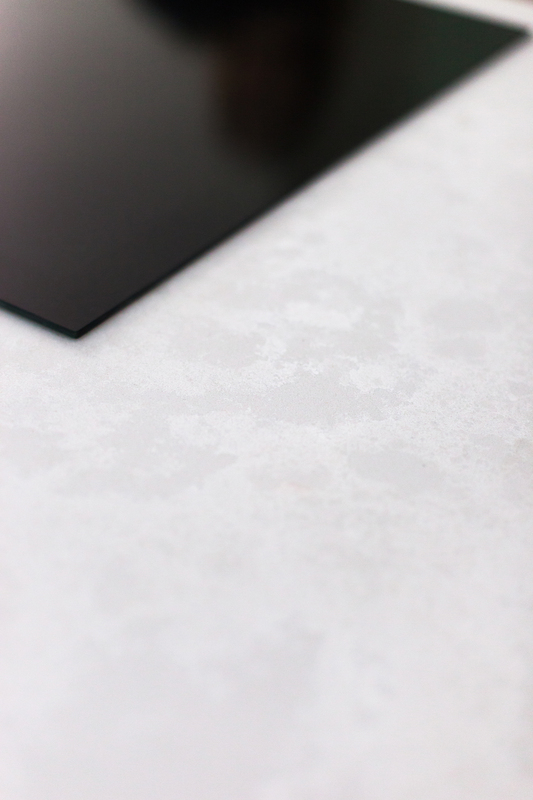 The texture softens the kitchen and is great to look after as it stays looking beautiful. 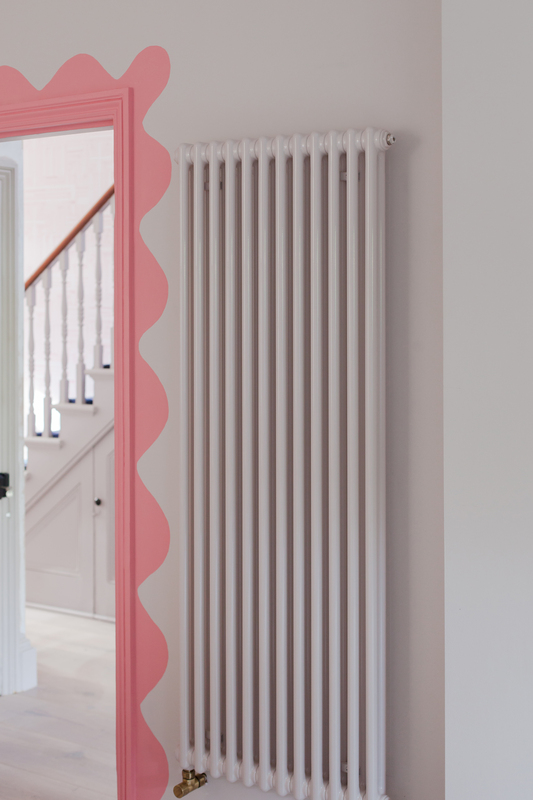 The colour match surface helps these architectural rads bed into our colourful scheme seamlessly. The rads themselves pack a massive punch on the heating front and look so luxe. The period style nods to the victorian house and the colour adds a level of luxury. 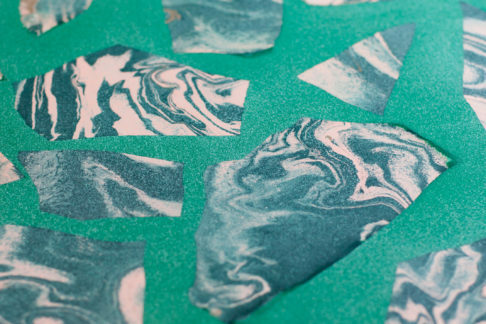 Here are the links to all the pieces/finishes we chose. We hope it helps make your decisions easier or gives you some inspiration for a project your have in mind.